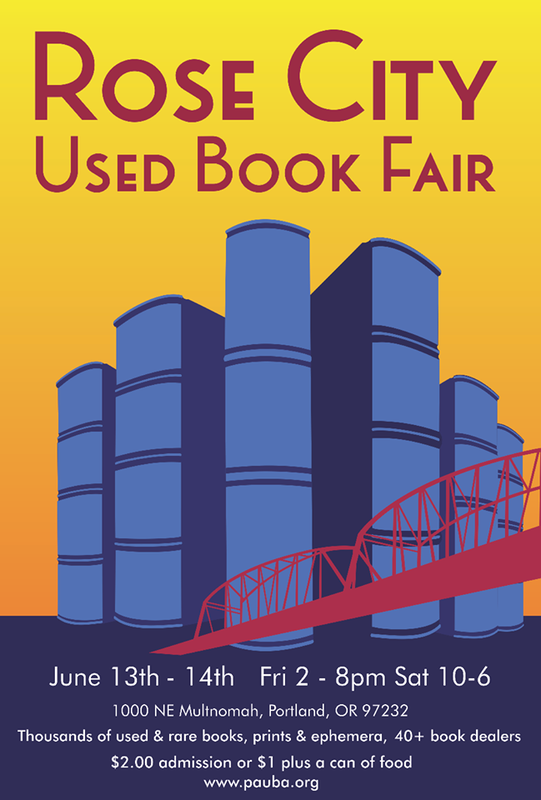 We’ll be at the Rose City Used Book Fair this Friday and Saturday, June 13 & 14, along with 40+ other book dealers. Stop by and say hello! The store will be open regular hours too.